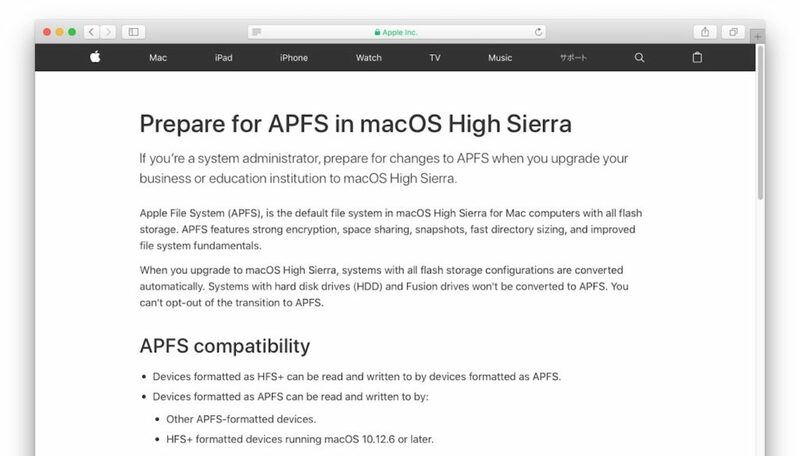 Apple、システム管理者向けにmacOS High Sierraで導入されるファイルシステム「APFS」に関するサポートドキュメントを公開。 | AAPL Ch. Boot Camp is supported when upgrading to macOS High Sierra, unless the Boot Camp volume is greater than 3 TB and resides on a Fusion Drive. Boot Camp doesn’t support Read/Write to APFS-formatted Mac volumes. 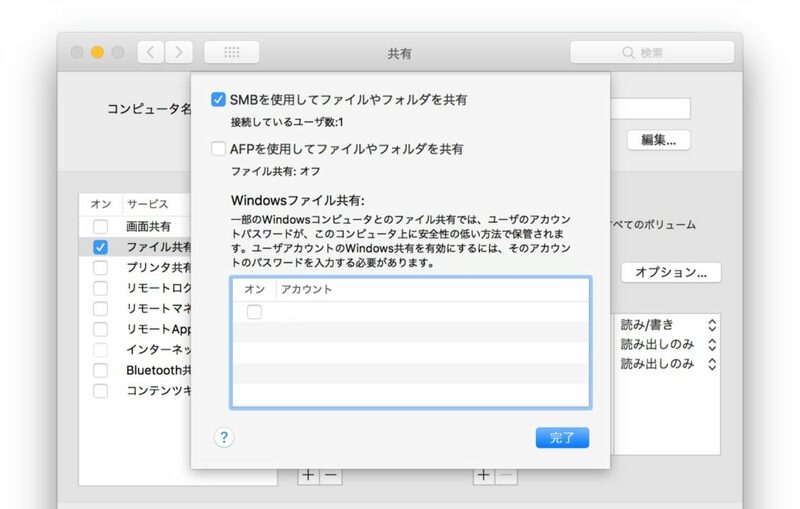 Volumes formatted with APFS can’t offer share points over the network using AFP. SMB and NFS are supported when using APFS. The option to enforce only SMB-encrypted share points is also available. After you upgrade your institution’s Mac and convert to APFS, you won’t need to make any changes to Time Machine settings. Any Time Machine share points must be shared over SMB instead of AFP.